Glenn Scott passed away on September 11, 45 years after the coup. The Espinozas barely escaped from Chile with their lives. The Espinozas barely escaped from Chile with their lives. Renato was arrested while working at a nationalized mine. Loreto was told she wouldn’t see him again. The Espinozas had Texas connections through a student exchange program, and those friends helped the Espinozas leave Chile with their two young girls. Back in Austin, Cam and Sue Duncan embraced the Espinoza family with solidarity. Sue and her husband were part of a solidarity network, the Latin American Policy Alternatives Group (LAPAG). They kept a Latin American news show on KUT, showed Latin American films on campus, organized protests, and helped get another Chilean, Cecilia “Che Che” Garcia, who had worked with the Community United Front breakfast program, out of danger. 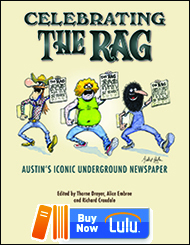 Austin’s underground newspaper, The Rag, was part of this connective tissue of solidarity. There, Glenn Scott and her partner Richard Croxdale, come into the picture. 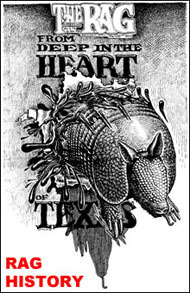 They had moved to Austin, worked at The Rag, and then went on to found a socialist school and meeting place, Bread and Roses Center. And there, I join the picture with the formation of the Austin Committee for Human Rights in Chile. We met at Bread and Roses. I was a printer at a feminist press that was located there. The bonds of political solidarity continued to be forged. 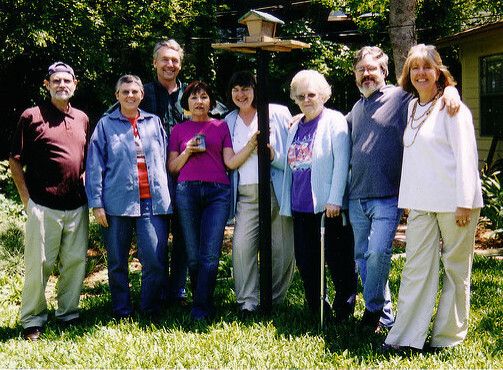 The Espinozas were the heart and soul of the Austin Committee for Human Rights in Chile, the Chile Committee as it was commonly called. As the brutal dictatorship kept its deadly grip on the country, we organized events, music, film, speakers to ensure that people understood the U.S. government’s complicity in the coup and the importance of sustaining resistance. In countless ways, the Espinozas affected my life. I met my artist husband because Renato recruited him for poster work that we printed at the press. They were at our backyard wedding, Loreto cooking a paella feast. They comforted me when I returned from a visit to Chile and a miscarriage. Loreto showed me how to hold a colicky baby across my knees after our first child was born. They celebrated our son’s high school graduation and sat for a film interview conducted by our film student daughter. Renato died in 2007 and now Loreto has passed on. The Espinozas taught me important lessons about political solidarity. At a meeting at Bread and Roses, Loreto announced that CIA Director William Colby was coming to the LBJ Library. “We’ve got to do something,” she said. Of course, my Chilean friends who did not have citizen privilege could not step forward. I was arrested with several others for taking a banner up on that stage. The banner had Uncle Sam’s arm holding a dictator puppet and read “U.S. Investment In Latin America.” The newspaper photograph of William Colby’s face is priceless. Several of us blocked a sidewalk in front of Senator Cornyn’s office. In 2017, when Glenn Scott urged us to act against Trump Care, several of us blocked a sidewalk in front of Senator Cornyn’s office. I was arrested again, the first time since the Colby arrest in 1976, and the same movement attorney Malcolm Greenstein stepped forward to get us out of jail. The solidarity work changed my life, but the Espinoza influence transformed me in so many other ways. They lived whole lives with unfailing devotion to family and friends, beautifully layered with activism. They were examples of how to raise children, make art and music, open up your home to a steady stream of Chilean exiles, and welcome neighbors, PTA associates, and workplace friends. They made that seem possible to me. Sue Duncan, another relentless warrior, exerted a similar influence. Sue was quiet, intense, and persistent. Her friend and mine Bob Cash described her this way, “…as kind and gentle a person as I’ve ever known, but with a backbone of steel when it came to fighting for or defending the causes she believed in and people that she loved.” That was Sue. Easy to underestimate. Many women were easy to underestimate in the ’60s, before the women’s liberation movement strengthened our voices. The speechifying and theorizing in early movement days were, by and large, the domain of men. Women sustained the movement work by building relationships. The Duncans lived rich lives, had children before many of my peers, and loved the outdoors, hiking, and gardening. They also lived with political conviction and room for relationships, proving that was possible. Sue and Cam were Volunteers in Service to America (VISTA) volunteers in Houston where they helped launch that city’s underground newspaper, Space City! (later Space City News). Sue was an educator and activist for racial and economic justice. Sue was an educator and activist for racial and economic justice. Cam and Sue lived in Washington, D.C., for 29 years where Sue taught middle and high school history and geography and managed after-school programs. After relocating to New Mexico, Sue was elected to the school board in 2013, where she championed bilingual education and advocated for the needs of immigrant children. 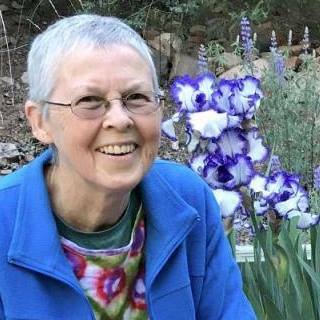 She was president of the Santa Fe Board of Education at the time of her death. Cam was on the local labor council. The Duncans were internationalists, both fluent in Spanish, and reminders that we live in America, the continent that stretches along a mountainous spine from Alaska to southern Chile. Not the America that Trump invokes. And now, Glenn Scott has passed on. Brave warrior against a heartless disease, tireless organizer, and an example of someone also devoted to family, friends, and relationships that run deeper than any political theory. She devoted decades of energy to labor organizing, building union power for municipal, textile, and displaced workers, as well as teachers and nurses. Glenn made great use of her bilingual skills as she organized. 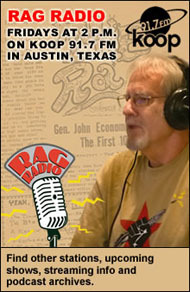 Louis Malfaro, president of the Texas American Federation of Teachers, described Glenn this way, “Glenn Scott was brave. She’d go toe to toe with the boss and the only fear in the room was the boss’s fear.” Glenn was brave with cancer, too. I was not in Santa Fe when Sue died. I was not in Tallahassee when Loreto passed away. It was different with my compañera Glenn. I was part of a support network that helped Glenn, her partner Richard, and her daughter Tillie face down those final days. For that, I feel honored. All of these women were organizers through the relationships they built, the examples they were to others, and the children they raised to be strong women. Glenn, in particular, made it her business to mentor younger organizers, feeding them fine meals, meats cooked by Richard with Glenn’s side dishes and desserts. Glenn made sure that younger people, new to organizing, could see the power and persistence they already possessed. Glenn was co-chair of Democratic Socialists of America (DSA) in Austin. 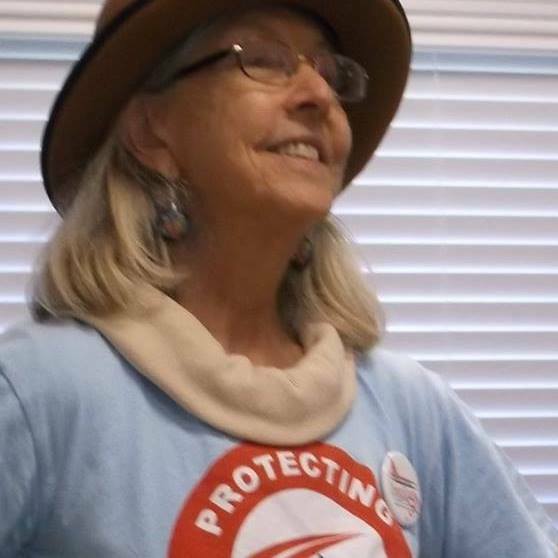 She had been there at the very beginning when the organization she worked with in the 70s, New American Movement, merged with Democratic Socialists of America (DSOC) to form DSA in 1982. 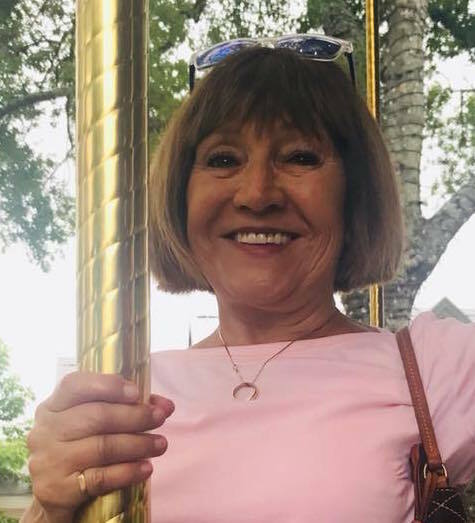 She contributed to the organization’s explosive growth, watching national membership pass 50,000 and with more than 1,000 in the Austin chapter. After a particularly difficult meeting of DSA, I was quite willing to drift away in 2015. Glenn would not let me do that. She lured me back as part of the Socialist Feminist Working Group, to raise funds for abortion access. We’ve carried that work forward, with its third and most successful effort in 2018, as part of the Feminist Action Committee of Austin DSA. For months, I have been saying that I was doing 10% of what Glenn Scott was doing to build resistance in the Trump era. Still, I knew I was busier than I had ever been. When I would back away from some meeting or action she wanted me to be part of, Glenn would sometimes give me space, “No, it’s important that you write.” So, I’m writing this, Glenn. On a personal level, Glenn’s enduring friendship and sense of compañerismo with my mother, myself, and so many others has taught me so much about the importance of human connection, not just for organizing, but to fuel our souls. Glenn, ¡Hasta la victoria siempre! ¡Hasta el tope (en buen salvadoreño)! Give us bread, but give us roses. City Proclamaation and Vigil: 5:15 p.m., Thursday, October 4, 2018 (her birthday), Austin City Hall. Celebration of Glenn Scott’s Life: 2 p.m., Sunday, October 14, 2018, Saengerrunde Hall, 1607 San Jacinto Blvd., Austin, Texas. See Facebook Event. 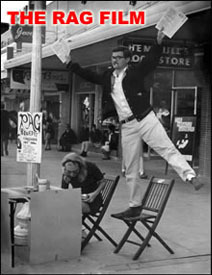 In lieu of flowers, the family requests donations be made to Peoples History in Texas, a non-profit that Glenn founded in 1975, to record progressive oral history and produce documentaries. Celebration of Loreto Espinoza’s Life: Saturday, 8:00 p.m. February 16, 2019, El Arroyo, 1624 West 5th, Austin, Texas. This entry was posted in RagBlog and tagged Alice Embree, Chile Committee, Glenn Scott, Loreto Espinoza, Obituary, Rag Bloggers, Remembrance, Renato Espinoza, Susan Duncan. Bookmark the permalink. Beautiful tribute, Alice. I’m inspired by it to do better and more. It’s hard to see how this thing works though tears, but I should know by now. I’ll try to remember what I lost because I didn’t enter my name or e-address. I was just getting over writing about Glenn on Facebook and you sucked me right back into the tragedy, but you wrote well in a good cause. I don’t think Glenn would approve. She’d be more into “don’t mourn–organize.” I understand that but some people are a loss to the community on a level that calls for mourning. Thank you so much for writing this, Alice. Thanks for this Alice. I wish I had known Glenn better, had had more time to learn from her. You do realize you are the new elder right? Sending you love. Thanks so much for, Alyce. Thank you for writing and being part of this strong circle of women, Alice. May the circle always be unbroken. Thank you, Alice, got this beautiful tribute. I only knew Glenn for a few short years but as I hear about everything she did, her whole life becomes an inspiration to me. Thank you Alice. I was fortunate to know Glenn and Sue very well over many years. What strong women have been and continue to be in our lives. Steve is right. Don’t mourn, organize would be on Glenn’s lips, but she would still be planning a dinner for the young and setting aside time for her family. Organize but keep parsley planted on your windowsill. Oh Alice. I just want to hug your neck, Sis. Thank you for this note and appreciation. I was quite moved by the Espinoza’s when I was in LAPAG, their way to combine music, human concern/connection with political activity, a sense they were creating a large family. I was still in Austin when they left (apparently later to return) and I’ve often wondered what happened next for them, It is great that they have had active life and friends. Others you wrote about I knew less well, or not at all, but I appreciate your discussion of how your friends mixed personal life, support for others, and activism.